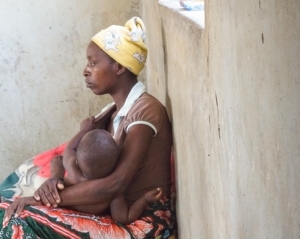 Zambia is a lower-middle-income country struggling with critical health challenges, including high rates of maternal and neonatal mortality, malnutrition, cervical cancer, and a severe HIV/AIDS epidemic that disproportionately affects adolescent girls and young women. 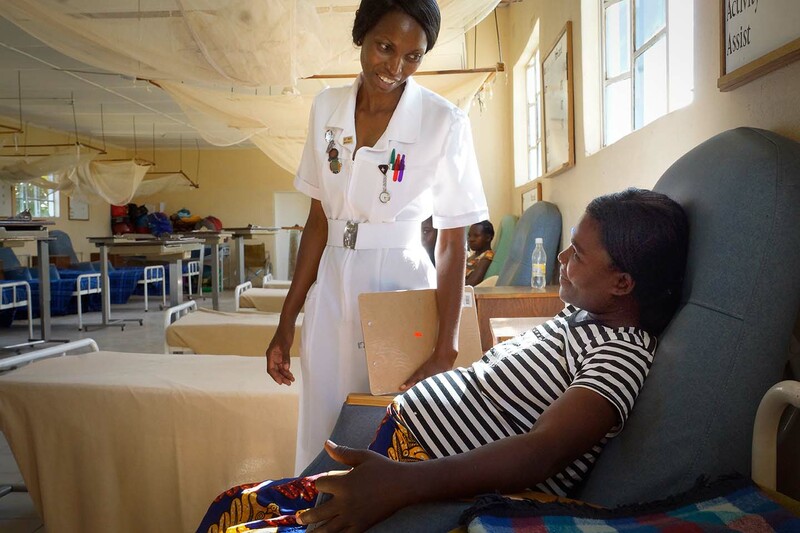 The United States is the largest donor to the health sector in Zambia, largely through the President’s Emergency Plan for AIDS Relief (PEPFAR). Over the past five years, the U.S. has also helped establish several public-private partnerships (PPPs) aimed at advancing the health of women and families. These PPPs provide lessons about the potential impact of these approaches, the challenges inherent in such partnerships, and the importance of PEPFAR support. With future U.S. global health funding likely to be flat-lined, this is an important moment to assess how partnerships with the private sector can amplify the impact of U.S. investments in women’s and family health. 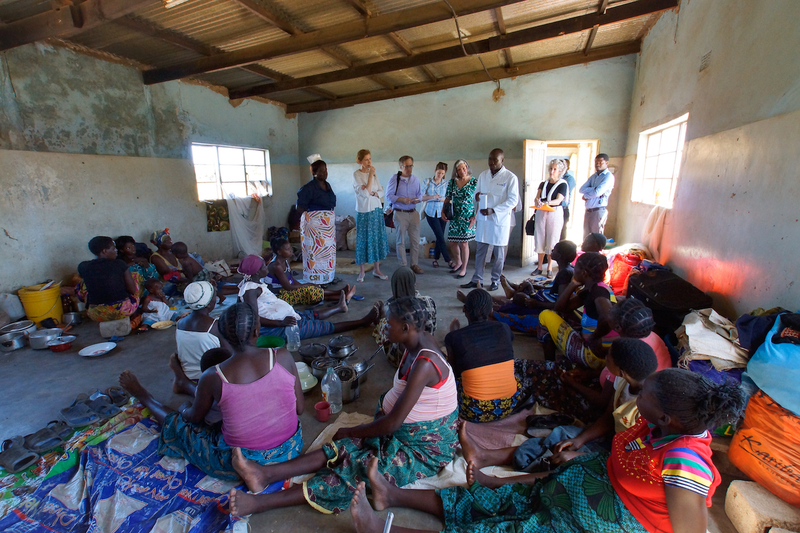 A delegation from the CSIS Task Force on Women’s and Family Health visited Zambia in April 2016 to examine U.S. investments through three partnerships: Saving Mothers Giving Life (SMGL), Pink Ribbon Red Ribbon (PRRR), and DREAMS. The delegation sought to understand these partnerships in Zambia within the context of U.S. support for women’s and family health, which represent the core of functional health systems. What has been the impact and value-added of these PPPs? What do they tell us about how to build effective, dynamic PPPs where all partners are actively committed and engaged? Given how indispensable PEPFAR funding has been for each of these PPPs, what are the implications for program scale up and sustainability? Can such PPPs usefully contribute to the longer term support necessary to advance women’s and family health, even as they strive to produce “quick wins” to meet annual targets and demonstrate impact? 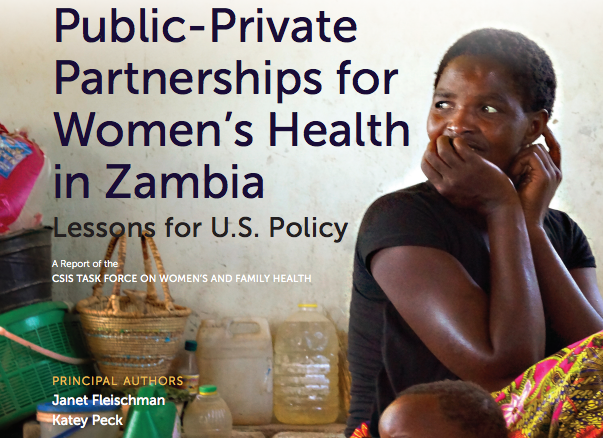 U.S. engagement in PPPs in Zambia holds great potential for amplifying the reach, effectiveness, and sustainability of U.S. support for women’s and family health and is going to remain an important tool in U.S. policy approaches. The U.S. should designate a director-level position charged with coordination of PPPs in health and development across the interagency process to strengthen their performance, ensure sustainability of financing and personnel, and apply lessons learned to current and future PPPs. This higher level of oversight should be designed to bring greater accountability to these initiatives and lay the groundwork for expansion and scale downstream. Ambitious goals and timelines in these PPPs can drive progress but should be accompanied by plans for scale and sustainability from the outset, with a particular focus on building local capacity. Otherwise the U.S. and its partners risk facing a trade-off between quick wins and programmatic sustainability. Given the centrality of PEPFAR to these PPPs, the U.S. interagency team in Zambia should work with the Zambian health officials and other donors to identify and mitigate any adverse effects of the changes in PEPFAR strategy on maternal and child health and family planning services. 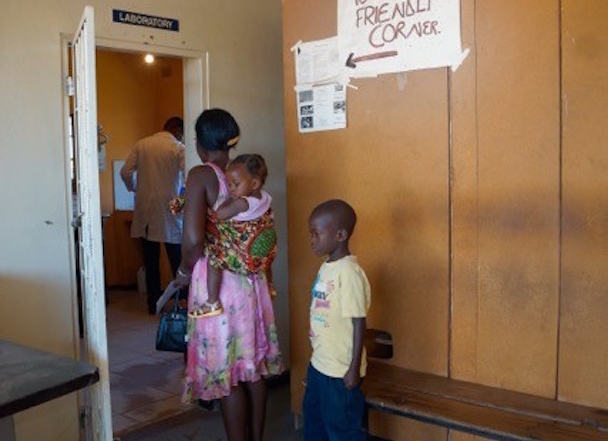 The U.S. should expand integrated services to advance women’s and family health, and the U.S. Chief of Mission in Zambia should ensure that the appropriate authority and resources are aligned to implement and measure outcomes effectively in maternal and child health, family planning, and nutrition. 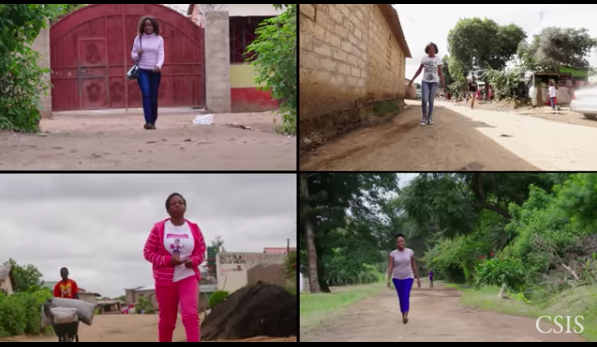 To that end, the U.S. country team in Zambia should publish a comprehensive and coordinated plan for women’s and family health and report publicly on its implementation.